Cornborough Cott Cottage near Westward Ho! 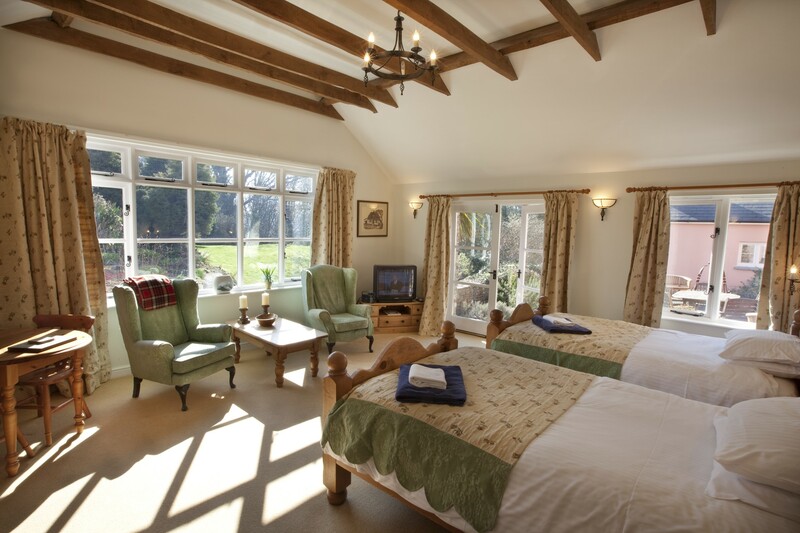 and Northam in North Devon is a beautifully presented luxury one bedroom holiday cottage that sleeps up two people. It is suitable for those requiring disabled access with an open plan design and with furniture and fittings of the highest quality. Kitchen-area with electric 2 ring hob, electric oven, microwave and fridge. Very large open plan studio room with high vaulted ceilings, dining and bedroom areas. Radio & TV. Twin beds and en suite. Remote control sliding curtains onto garden. 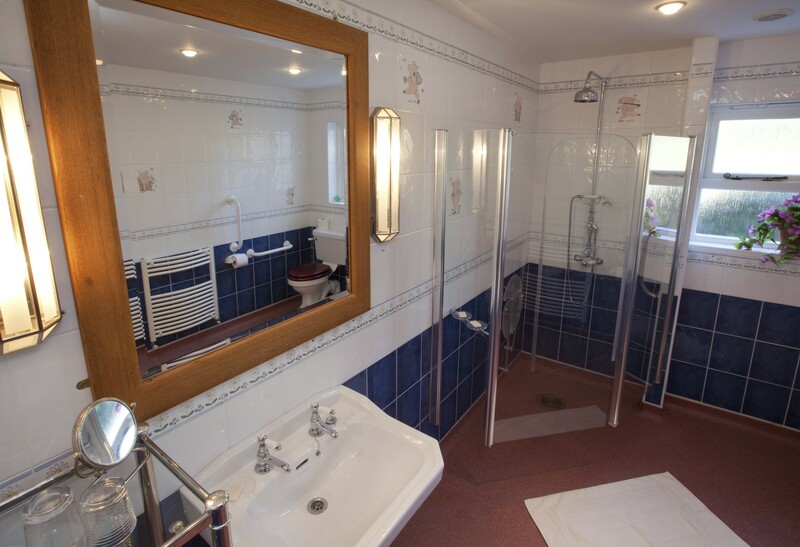 Wet-room with shower, WC and washbasin, (suitable for disabled access). Pets: Well behaved dogs are welcome to enjoy Cornborough Cott with you, subject to an additional charge. 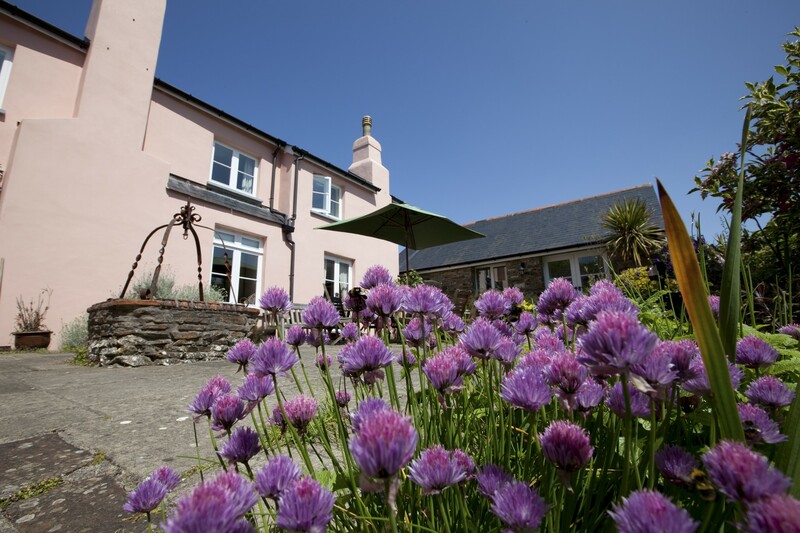 Cornborough Coombe and Cornborough Cott are both listed on the Dog Friendly Page at My Favourite Holiday Cottages. Please note: that when the Cott is booked on its own, the main house, Cornborough Coombe will not be available or booked by a separate group. This allows guests at the Cott complete privacy and use of the grounds. 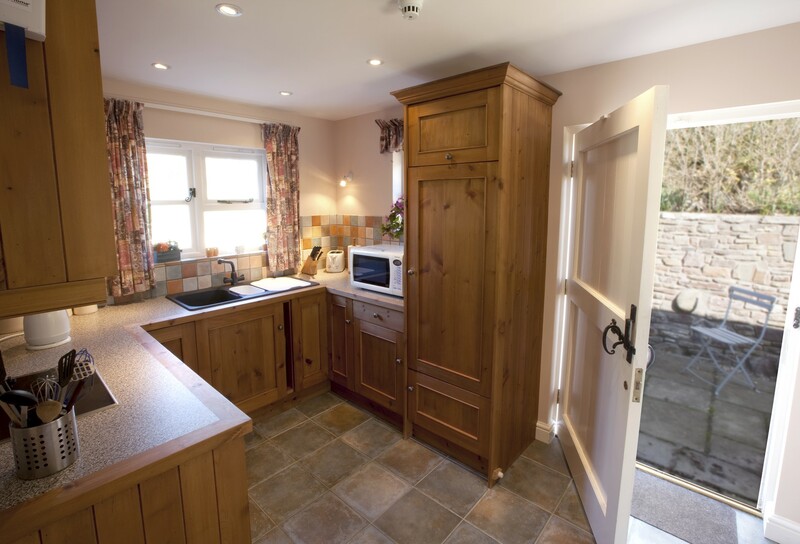 To see more details about the beautiful Cornborough Combe click here .